We all want a quick way to get rid of the extra pounds. Well here are my tips. 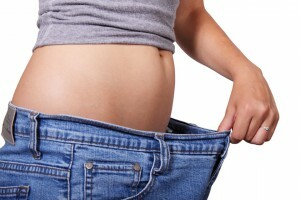 Here are 7 tips for fast weight loss to help you achieve your weight loss goals. I don’t mean spend a lot of time at the gym, I just mean use the stairs instead of the elevator, park further from the store, rather than driving around to find a close parking spot. Walk instead of drive where you want to go. Eat more protein. Protein fills you up and helps stop the cravings for sweets, giving you a more satisfied feeling. Drink more water. Drink a large glass of water before every meal. Helps to fill you up and helps with not eating more than you should. Put away food scales and calorie counters. If you use them to measure how much food you are allowed, you will end up feeling deprived. Eat until just barly full. Don’t stuff yourself. Avoid liquid calories, and I don’t mean just alcohol. Many non alcoholic drinks are loaded with sugar and empty calories. 7. When craving something sweet, try a chocolate flavored protein drink. Very filling, and helps satisfy that sweet tooth. If you try some of these tips, I’m sure you will have a great deal of success. Just remember sometimes we eat because we are bored or something else emotionally is going on. Stop and ask yourself am I really hungry?